Searching for a Trustworthy Shutter Company in Waterford Lakes? If you have older widows that could use some improvement in Waterford Lakes, then you can call American Blinds and Shutters Outlet for window treatments. With over 18 years of experience we offer the old-fashioned way of doing business and that’s with a smile and always a handshake. Older windows will need to be replaced before installing new interior shutters inside your home. Call your local window contractor as replacement windows are not as expensive as you might like to think. American Blinds and Shutters Outlet exists to provide you with amazing interior shutters. Before committing to interior shutters be sure and educate yourself. This will help you get the right kind and fit for your windows. Interior shutters are expensive but quite the investment is chosen carefully. Research your options and then call us. After you call American Blinds and Shutters Outlet, we can do the delivery, measurement and the installations. We put a lot of sweat into our work and it shows. 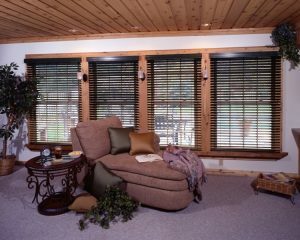 If you want your windows adorned with name brand shutters, call us today. Privacy – needing rest but can’t get it? Our solution is blackout blinds. They are the perfect answer to your insomnia problem. Personalization – Whether you like the look of chic, modern or traditional, you can personalize your blinds any way you’d like. Steamy rooms – Kitchens and bathrooms are known to be steamy rooms of the house. We offer moist-resistant blinds for those rooms. You can create any look you’d like. Call for interior design options and soon you’ll have the look that you’ve been wanting all along. You’ll be faced with decisions for your windows as a homeowner. When you need to make those decisions, call American Blinds and Shutters Outlet. Do you want something other than blinds on your windows? It’s your personal choice to decorate your windows any way that you’d like, but we highly recommend custom drapery for the livingroom and custom curtains for the kitchen. When you set off to find custom drapery & curtains for your home, please be sure and contact American Blinds and Shutters Outlet. We are the shutter company that can bring peace of mind for those who are looking for the perfect window treatment. Call for yours! If you are looking for a shutter company for your Waterford Lakes home, then please call 407-492-1009 or complete our online request form.